Kickoff is a social soccer simulation game that lets you form a team with your Facebook friends. Plan out your team strategy by assigning friends to specific field positions. Level up and earn experience points that can be distributed to individual members on your team. Watch the match live on your game board with animated icons. 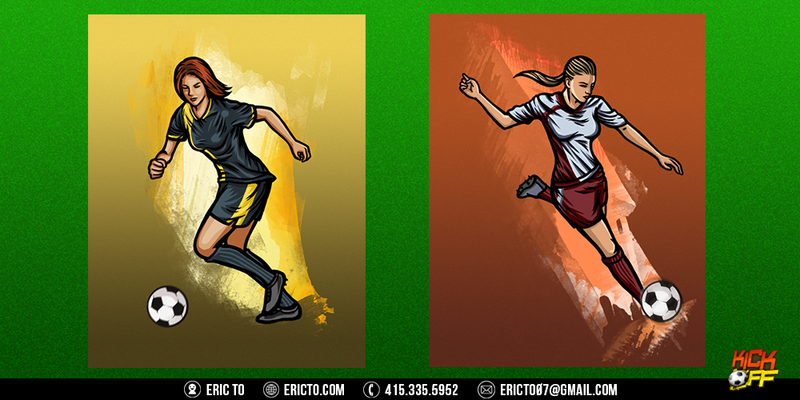 Role and Responsibilities: I developed art style and visual direction for Kickoff. I conceptualized character designs, Ui assets and designed banner ads for social media marketing. UI assets: Buttons, tickets, tokens, med kits, contract, trophy, and grass background. Sketches and final renders for trophies. Character concept art for the training feature. Character concept art for load screens.